Icebox Knitting started in 1993 with a 400 unit hat order from Twist Clothing. 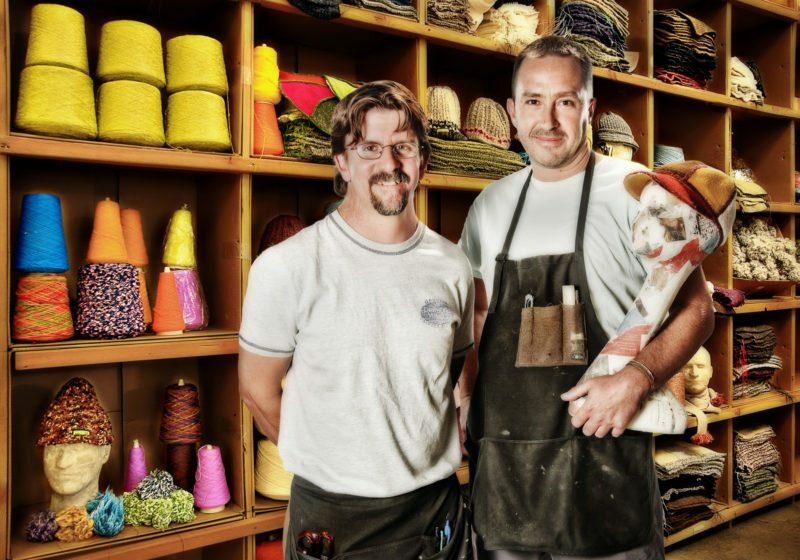 Josh McGlothlin, the original Founder started with one table top knitting machine that used his finger to run the knitting carriage across the needles. After doing about 3 hats he thought, there has got to be a better way! Looking in the phone book, Alpine Knitting Mills at 7th and Walnut, was listed right here in Boulder! One phone call and 10 minutes later a meeting with long time local Richard Kruger was made. Richard started a sweater company, Johnathan Richards in the 1960’s it specialized in uniform wear for Colorado ski resorts. Johnathan Richards made famous the stripe up the sleeve and across the chest for the must have ski sweaters of the 1970’s. After a few minutes of meeting with Richard he knew he could help Icebox and was in a position of semi-retirement and wanted to see some action in his factory. Alpine Knitting Mill is a fantastic Frank Lloyd Wright (inspired) building design and Josh jumped at the opportunity to be a tenant and have Richard as a mentor. For just over 10 years Icebox stayed at Alpine Knitting Mill honing the skill of knitting and sewing. 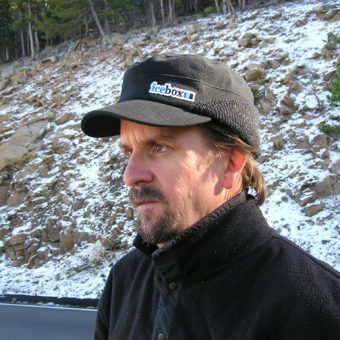 In 2006 Scott Baker came onboard as working partner to run daily operations and assist in Icebox Knitting growth trajectory. After 3 years of growth Icebox needed more space and longed for the walking proximity to other businesses like it had at 7th and Walnut in Downtown Boulder. Scott spent a few months making the priority list for the big move and accommodating our employees was top on the list. Icebox settled in Longmont, CO in 2009 the growth trajectory was established and sales quadruple by 2012 reaching a peak of 16 in-house employees, 2 international distributors, and 11 national sales reps.
Scott had his hands full as CEO to drive all this activity. As many, many small and large companies experienced the economic rug being pulled out from under them. Icebox had to react quick to the changing landscape. Keep as many people as possible and support the retailer was the battle cry! Several years later, the 2010 – 2015 economic crisis, recessions and off-shore competition forced Icebox to re-think its outdoor market position. At its core Scott knew the full value of Icebox making product domestically and for a wider audience of consumers. The first e-commerce site was launched in 2012 and private label manufacturing of many different products outside of knit headwear followed. Reaching out to professionals outside of the company Scott began the consistent stride of training not only his team members on the new products but himself on how to be a better entrepreneur. That skill set still holds true today, Scott is always searching out ways to bring efficiencies to production, encouraging all teams to learn LEAN strategies so they can see the immediate results. Nothing complex just quick effective results, so each member can win leadership at every level of the company.